Do you live in Fairfield, Liverpool, Cabramatta or Wetherill Park and need to source quality or rare spare parts in Sydney? Auto Ice Parts have been the leading car wreckers in Sydney for more than 20 years and we have one of the largest inventories of auto parts for just about every car on the road in Sydney. If you are trying to source a rare part, because it’s not manufactured for your vehicle any longer, it’s a sure bet that we can source the part for you in our yard. In the unlikely event that we don’t have your car spare parts in our Sydney yard, with our rapid turnover of vehicles coming through our Yennora gates every day, you won’t have long to wait! We not only have a huge inventory of recycled parts, but we also have some of the best prices for quality auto parts in Sydney, saving you a lot of money on your repairs. So if you are heading for the auto parts shops in Sydney, pick up the phone instead and give us a call. 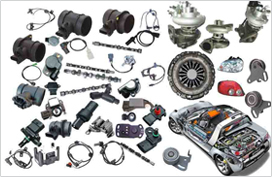 To check if we have the quality or rare spare parts in Sydney you require or to price a reconditioned engine, call Auto Ice Parts (Leading car wreckers/auto parts shops sydney) on 02-9892 1010, 9892 1110 or email mail@aaautoiceparts.com or complete an online enquiry form.